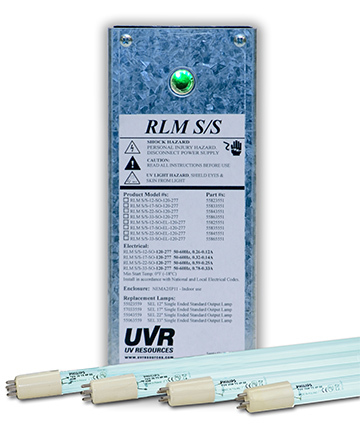 RLM Small Systems Ultraviolet Lamp Kit from UV Resources Improves Air Quality and Overall HVAC System Efficiency. •Remote power supply. Installers can locate the RLM S/S Kit’s 120-277, UL Listed, fully PnP power supplies remotely. 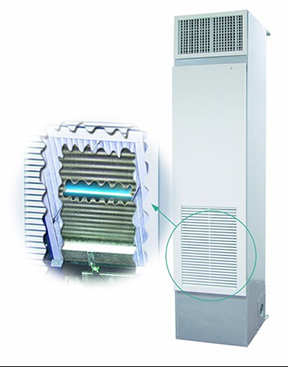 •A heavy-gauge galvanized steel and NEMA-rated power supply housing. •The state-of-the-art CU2™ sensor provides visual LED and analog output methods of verifying lamp and ballast on/off operation. •Worldwide availability of name-brand replacement lamps and power supplies. •A five-year power supply warranty.